If there is one smartphone that is much favored across the globe, it would be none other than the iPhone. This all around communication gadget is one of the most wonderful and sought after cellphone of all time. From texting to playing games, listening to music and downloading apps, watching movies as well as online streaming of contents, you can do it all with the iPhone. Along with the popularity of iPhone, streaming and watching videos has become actually one of the recreational activities. And when it comes to video sites, nothing will equal the fame of YouTube. With YouTube, you can watch all kinds of videos from educational videos to complete TV shows and movies. Though, you can only watch YouTube clips online and if you want to download videos on your phone, you need to use a reliable YouTube converter for iPhone. Bear in mind that iPhone doesn’t have the direct capability to download online streaming videos. You need to be connected to the internet at all time if you want to watch YouTube videos. But for those who don’t have unlimited data plans or users with wifi connection, this indeed is a painstaking moment. Regarding such issues, do you want to save certain YouTube clips on your iPhone for latter playback? Gladly, there are free tools out there that could really help you most. If you’re the type of people that doesn’t want extra programs on your PC, Video Grabber is the right tool for you. With Video Grabber, you can download YouTube videos without the need to install anything on your computer. It is a web-based application that is free to use. It can grab HD videos from YouTube, Vimeo, Daily Motion, Video Jug, Meta Cafe and many more. Copy the URL of the YouTube video and paste it on the site. Click “Grab it” and allow the java pop out notification. Choose your desired video output format. Hit the download button and it will automatically save the file on your hard drive. After downloading, you can go ahead and transfer the video to your iPhone. Doing this is easy with the help of iTunes. Open the file menu and click “add file to library”, drag the files you want to transfer and click the sync button. If you need a video grabbing tool that can do more than just basic downloading of YouTube videos, Video Download Capture is what you need best. It can grab videos from YouTube, Yahoo Screen, Hulu, Dailymotion and millions of other websites. Batch downloading is also possible which makes it a huge time saver. Additionally, this program can convert videos into popular formats like MP4, AVI, MKV, FLV and more. Unlike other free YouTube to iPhone converters, Video Download Capture is a premium software that offers live video recording capabilities, built-in video editing tool and efficient player. 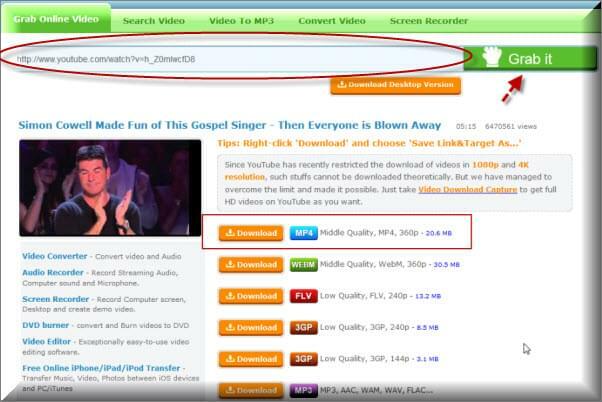 To use Video Download Capture, just download it first. Install and open the program on your computer. Choose from two downloading methods either in automatic way or manual way. The former is the easiest way to employ since it automatically detect and grab videos that are being streamed on the screen. The latter is simply copying the URL and pasting it on the download tab. 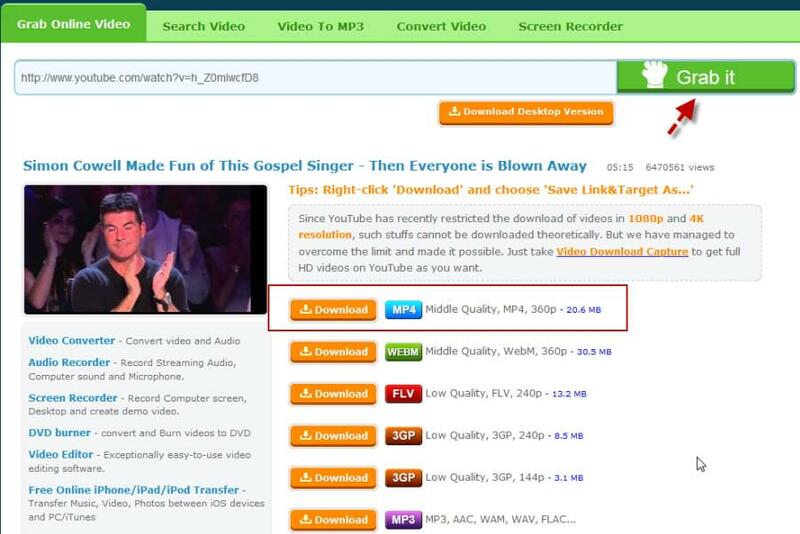 After downloading the YouTube clip, make sure to convert it first to MP4 format for it is compatible with iPhone. Click the “Convert” tab and add the videos that need to be converted. Choose the right output format and hit “Start” on the bottom corner of the program to begin the conversion process. 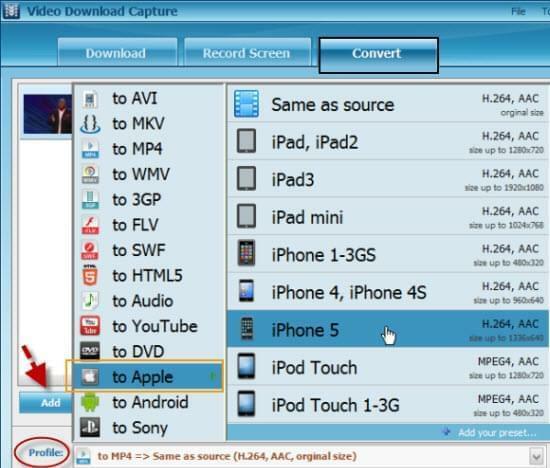 Furthermore, you can use the Video Download Capture to transfer videos from output directory of this software to iTunes. Click the tool button on top and hit add to iTunes, it will now start the transferring of your files all by using the same software. For dedicated Mac users, you can opt for Video Downloader for Mac since it features a more professional way of modifying file formats. It supports both audio and video file formats such as AVI, MP4, FLV, MKV, MP3, MP2, OGG, AAC, and more. You can likewise use it to edit videos as well as add external subtitles. This tool supports 4K, 720p and 1080p resolutions while it promises zero loss in quality when editing or converting clips. You can download apps that deal with communication, lifestyle, current events, productivity, media and more. But there is no way you could get an application that can automatically grab and convert YouTube to iPhone 5s directly on your gadget. If there’s any, surely it commands a high price or filled broken promises. 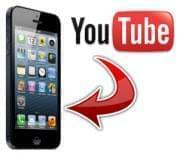 Yet with the above tips and tricks, you can convert, save and play YouTube clips on your iPhone the easiest way possible.